V2565. BERNARDO de MURO: Arias & Scenes (w.Oltrabella, Badini, Janni, Casazza & Bettoni) from Isabeau, L'Africana, Carmen, Andrea Chénier, La Fanciulla del West, Il Trovatore, Don Carlos & Otello. (France) Malibran 163, recorded 1912-28. "Despite the power and penetration of the voice, de Muro could also sing with much subtlety and commanded a wide dynamic range....this diminutive tenor amazed all who heard him by the sheer size and power of his Tamagno-like voice." "De Muro was praised as a tenore di forza by no less than Giacomo Lauri-Volpi. 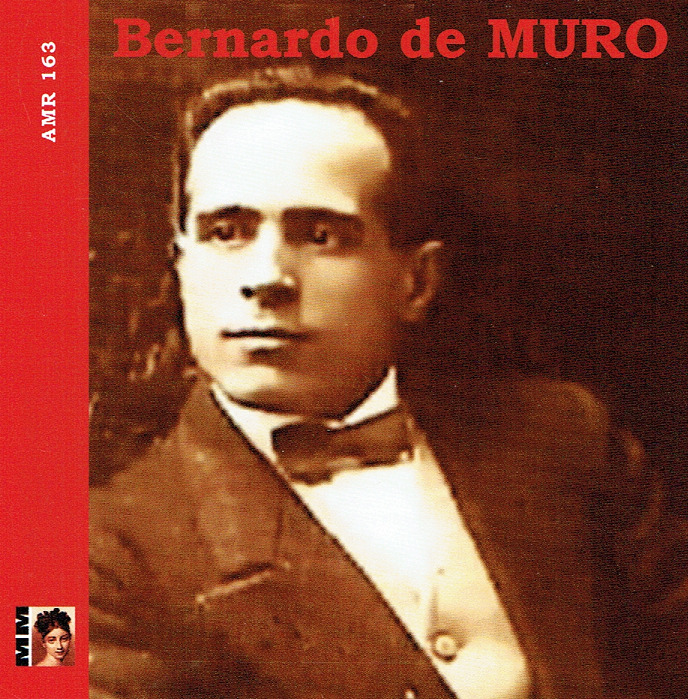 De Muro's is a stupendous sound with enormous thrust, natural color and, in the earlier recordings, great beauty."